One fateful evening, when feeling shy at a party, I did what any sensible person feeling bashful might do, and found someone to have an intense, theological conversation with. His name is Tobias, and we are now good friends, but that evening all we knew was that I studied the affective capacities of art and he studied biblical literature. So after exchanging names and elevator pitch pleasantries, we dived right into the problem of evil: how could a good God allow evil? He had written a project on Job, a book which has stymied theologians, literary scholars, and laymen alike. Why did God allow the devil to have his way with Job? Why did God prefer Job to his self-righteous but apparently well meaning friends? Is this really meant to be a useful answer to the problem of evil? Tobias reframed the problem of Job for me. He said that he thinks that the author of Job doesn’t want, as John Milton would later write “to justify the ways of God to men,” but to reorient them around this problem. It gives us a new way to approach and experience suffering. And this is made clear in God’s rebuke of Job’s friends. Job says a lot of outrageous things that we would not ordinarily endorse as orthodox theology. But the difference between Job and his friends is that Job addresses his quandaries and complaints and fits of rage at God, while his companions only whisper and murmur and proclaim about God. Tobias showed me the verse quoted above, and said that the word our Bibles usually translate as “about” should be translated as “to.” So God does not say “you have spoken wrongly about me” but “you have spoken wrongly to me.” Or, in other words: you haven’t spoken to me at all. When God rebukes Job’s friends, it is not because they were theologically incorrect, but because they were relationally insensitive. They ignored God as they spoke of him. listen along at the link above, and then follow along in the notes below. Vincent van Gogh (1853-1890) was a sensitive man. Sensitive to the beauty and glory of the world, but also to its great brokenness. This sensitivity manifested itself in a life long struggle with what we would now identify as mental illness, going through periods of extreme productivity and happiness, and deep, destructive despair. You can see this battle in his art, which dazzles its viewer with wonder and beauty, while an element of threat and darkness looms in the corners. 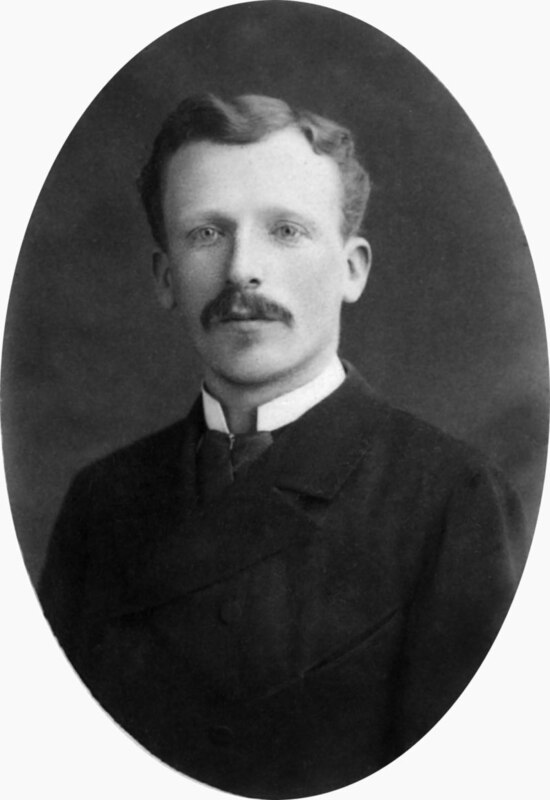 One of Van Gogh’s most prolific periods was during and shortly following his stay at the mental Asylum the Saint-Rémy (May 1889 – May 1890). Accompanied by his companion, a Protestant clergyman, Van Gogh found a semblance of stability and artistic fecundity, shortly prior to his death. The Sower, after Milley 1888. Throughout his short and tumultuous life, Vincent kept up a constant correspondence with his brother Theo. Theo was his lifelong supporter, financially, spiritually and relationally. 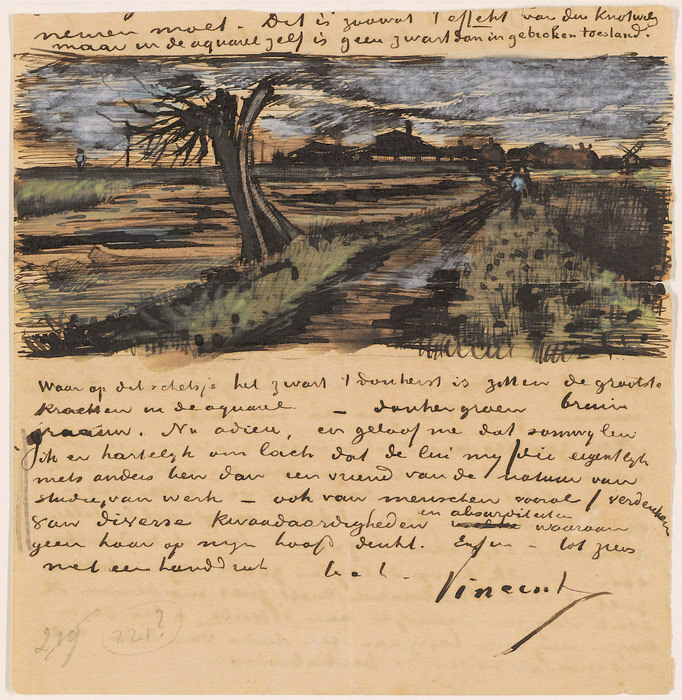 Most of what we know about Van Gogh’s life we know because Theo kept all of Vincent’s letters. The letters are deeply personal, almost like a diary, and they often incorporated paintings or sketches. After Theo and Vincent died, Theo’s wife Johanna published some of the letters. Something I find interesting is that even as all these letters are addressed to Theo (his brother), each letter is addressed to “Theo” which literally means “God.” There is, then, an element of prayer in these letters. As he poured out his heart to his earthly brother, did his heavenly father listen in as well? you can read all of the letters between theo and vincent at this link. This song is about the letters between Theo and Vincent, and it beautifully explores the ways that Van Gogh struggled well in his art. In the Terrible Sonnets, Gerard Manley Hopkins found that in wrestling with despair, he wrestled with God. Gerard Manley Hopkins (1844-1889) was also a sensitive soul.-Educated at Balliol College in Oxford University, he converted to Roman Catholicism under John Henry Newman. After entering the Society of Jesus as a priest, he burned his writings and did not writing any poetry for several years. Eventually, a spiritual director convinced him that poetry could be his gift to give the world and with which he could glorify God. which shares a Romantic emphasis on the goodness of creation, rejecting the evils of the industrial revolution. Close to the end of his life, he struggled with isolation when he moved to take a teaching position at Trinity College in Dublin, and alienation from his family due to his Catholicism, In this period he wrote a collection of poems now known as the “Terrible Sonnets’ in which he wrestled with feelings of doubt and despair. They were not published till after his death. In his Stabat Mater, Antonín Dvořák mourned the death of his children with Mary at the foot of the cross, asking that his sorrow, like hers, be turned to hope by the resurrection. Dvorak (1841-1904) is arguably one of the most versatile composers of his time. After a halting start to his career in Europe, where he was discriminated against due to his Czech heritage, he moved to America where he composed his famous “New World Symphony.” (pss. we’ve discussed this piece in a previous episode which you can listen to here). His work is mainly concerned with two themes: a love of home and his deeply held faith. The composition that catapulted him into fame was his Stabat Mater, which he wrote in response to the death of his three living children. The Stabat Mater Dolorosa (The sorrowing mother stands weeping) is a 12th century Marian hymn which has been set to music by many composers. It stands with Mary at the foot of the cross, hoping to find consolation and hope in Christ’s death and resurrection. You can read the full text in Latin and English here. When we rage, suffer, doubt at God, rather than about him, we allow space for his response, we make room, even if it is very small, for hope to creep in. For I consider that the sufferings of this present time are not worthy to be compared with the glory that is to be revealed to us. For the anxious longing of the creation waits eagerly for the revealing of the sons of God. For the creation was subjected to futility, not willingly, but because of Him who subjected it, in hope that the creation itself also will be set free from its slavery to corruption into the freedom of the glory of the children of God. For we know that the whole creation groans and suffers the pains of childbirth together until now. And not only this, but also we ourselves, having the first fruits of the Spirit, even we ourselves groan within ourselves, waiting eagerly for our adoption as sons, the redemption of our body. For in hope we have been saved, but hope that is seen is not hope; for who hopes for what he already sees? But if we hope for what we do not see, with perseverance we wait eagerly for it. Did you enjoy this episode? Leave a comment and share it with a friend!